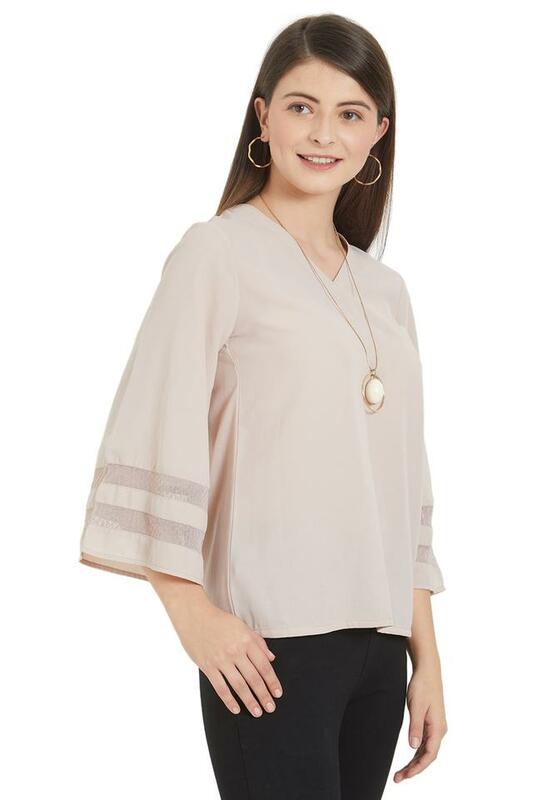 Cut to a relaxed silhouette, this top from Soie is perfect for a casual day out. Tailored with care using a polyester fabric this top ensure your comfort all throughout the day. Moreover, it comes with a solid pattern along with a V neck and three quarter sleeves that accentuate its overall appeal.